Ahhh, the joys of spring! Birds chirping, flowers blooming, warmer temps and it’s time to think about natural flea and tick prevention for your pets! If your dog or cat has ever had fleas or ticks, you know that once they get inside the home, they are a pain to get under control. What can we do to prevent our pets from picking up fleas and ticks (also known as ectoparasites)? If you’ve ever had a chance to read the insert information sheet with those OTC and prescription pesticide products, you may have noticed they all come with a long list of possible side effects, even some as bad as shock and death! So, let’s take a look of some great natural options you can try. After working in the pet care profession for over 20 years, I have learned some super safe, effective and inexpensive ways to keep ectoparasites off your pets. Our pets deserve a long, healthy life so let’s look at reducing the amount of harmful chemicals (such as the pesticides manufactured as flea & tick treatments) that we put on them. 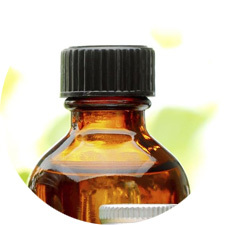 Essential oils are natural aromatic compounds sitting in oil sacs on the outside of plants. They are on every part of a plant helping to protect it and keep it healthy. When used properly, essential oils are one of the safest ways to support health and wellness! Use only 100% certified pure therapeutic essential oils on your pets. This means they are not synthetic, do not contain any synthetics, are not contaminated, or adulterated in ANY way. 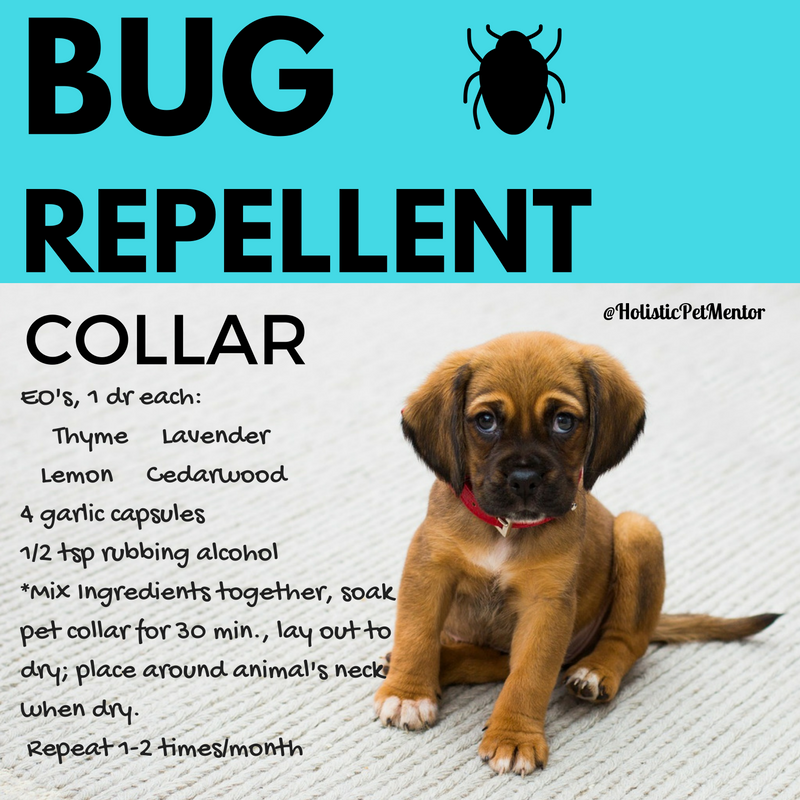 Some great essential oils to use on dogs for their insect repellent properties are lemongrass, peppermint, arborvitae, lavender and cedarwood. You can customize blends based on your pet’s needs. Always dilute the oils in a spray recipe with water and/or fractionated coconut oil before applying topically to your pets. Application can last up to 4 hours, but may need reapplied more frequently. You are essentially making your pet smell like a plant which is very unattractive to an insect looking for a blood meal! Essential Oils have many applications and countless benefits! Also known as DE, diatomaceous earth is a super fine, granular sediment formed from the fossil remains of diatoms and is high in silica. It works by dehydrating insects and drying them out, It is very safe to pets and people, but be careful to not inhale it and do not apply it near your pet’s face. It can be applied to yards and topically on pets if fleas are a problem. DE aids the digestive tract in ridding unwanted parasites. Mix it in regularly to your pet’s moist food. Give only ½ to 1 tsp for small dogs or cats. You can give up to 1 tbsp for larger dogs. Apple Cider Vinegar (ACV) is a staple in every home. ACV helps to balance the body’s pH. When applied topically with a spray dilution or after a bath at the ratio of 50:50 water and ACV, it can make your pet a lot less appetizing or attractive to insects! I like to also add a few drops of lavender and cedarwood to the mix to help enhance the repellency, yet soften the smell of the ACV. Coconut oil can be excellent for your pets in many ways! It contains lauric acid which can help repel and kill fleas. You can apply it topically by taking a little in your hands, letting it melt, then rub your hands together and give your pet a good rub down. It acts as a great skin conditioner and even helps reduce yeast on the skin. Coconut oil is also great for your pet to ingest as a daily treat. Always start with a small amount, such as a pea-size, then add a little more each day – up to a tsp for small dogs and 2 tbsp for very large dogs. Another bonus is that is aids the digestive tract and nervous system because it contain healthy fats! These microscopic, non-segmented worms contain beneficial bacteria. Their unique bacteria will dissolve the insect from the inside out! These microscopic critters are tiny but mighty, yet they will not harm your pets or you!! Look at them as allies helping us to keep our soil in balance. You can purchase these dried in a container that hooks up to your hose, when you add water and spray them in your yard, they snap out of the dormant state and become active again. In general, healthy pets are less attractive to fleas. The most important way we can promote health in our pets is through diet. Dry kibble is inherently high in starches and carbohydrates making it cheap to produce and nicely packed together in fun shaped bite-size pieces. While convenient, it’s not the best option for our pets and can lead to many chronic health conditions over time. I work with pet parents to come up with the best diet that they can maintain for their pets, yet keep it affordable and high quality! Each situation is unique. I am able to guide you with the best pet food choices that will work within your budget.